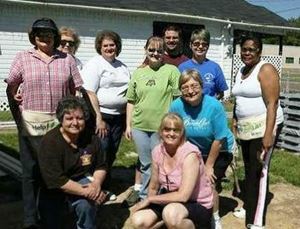 BPW Monroe-West Monroe participated in a Habitat for Humanity Build on May 30, 2009 from 8 am - 12 pm. 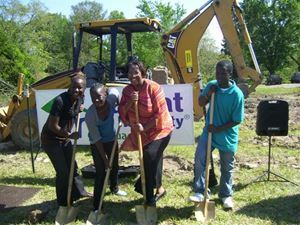 The recipient of one of these three houses is BPW student member Iketha Williams and her family. l-r Partnering on the build - ANGUS WIN employees: Roosevelt and Kathy Lenard, Don and Donna Wilhelm, Peggy Wells, Brooke Basile, Tara Ivy, Mary Edwards. Not pictured: Gwin Edwards.